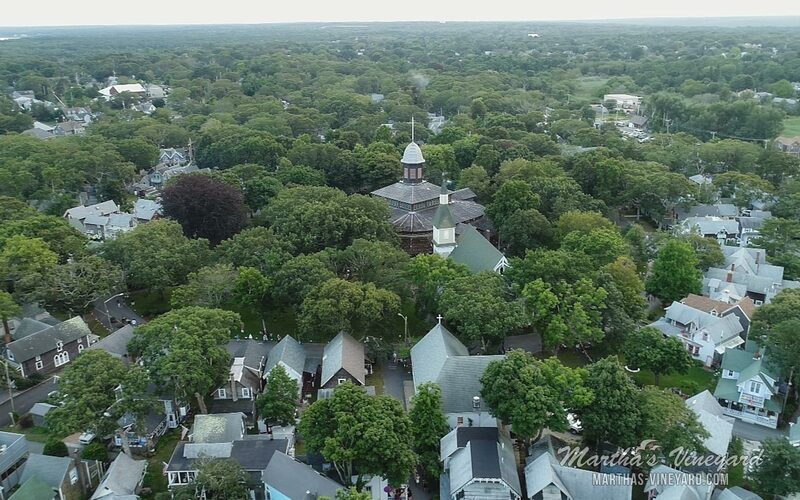 The "Campgrounds" is located in the heart of Oak Bluffs. Established in the 1800’s as a Methodist meeting ground. Today, there are more than 300 gingerbread Victorian cottages on 36 acres. The cottages surround the Tabernacle which is the centerpiece of the Campground. This impressive structure was built in 1879. 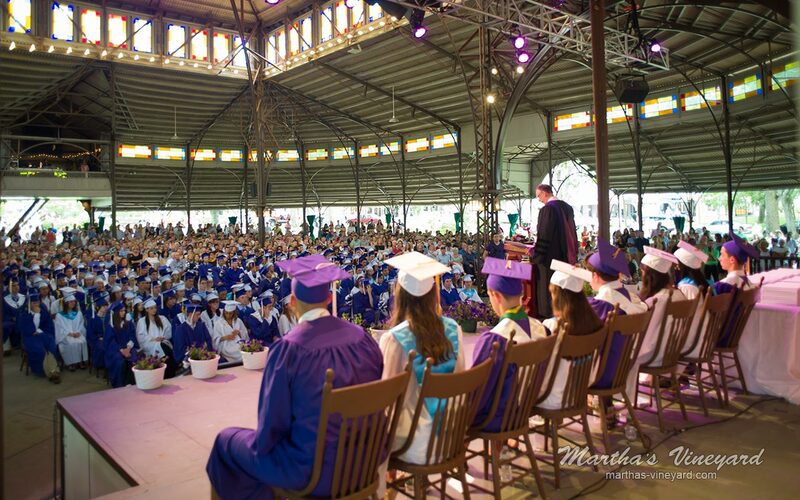 The Tabernacle is listed on the National Register of Historic Places. 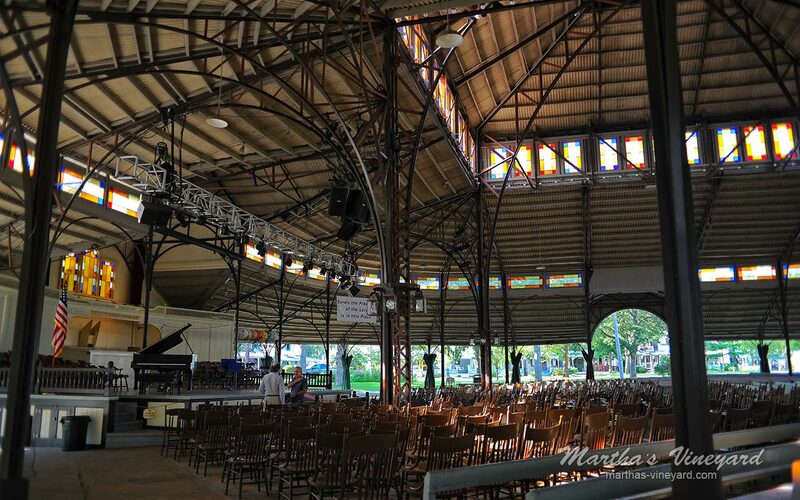 Now it is used for religious services, community sings, concerts and lectures during the summer season. 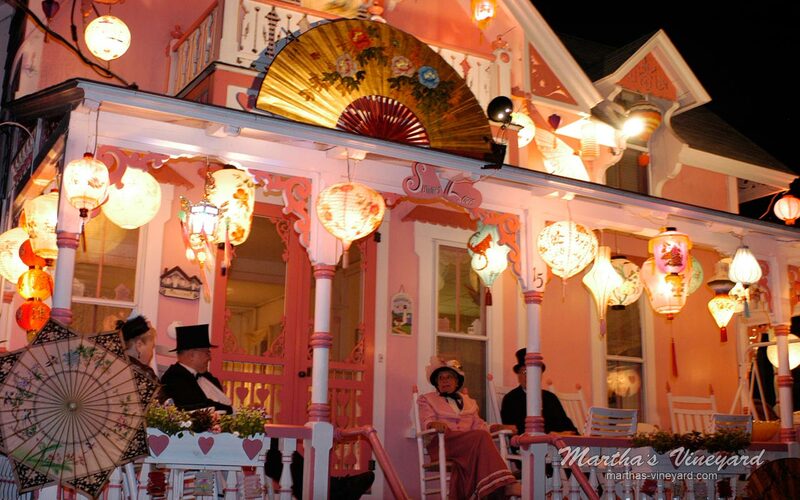 The signature event is the Grand Illumination Night when the cottages are decorated with several lighted lanterns. There is a community sing in the Tabernacle, the lights go down, and all of the lanterns on the cottages are lit at the same time. Several thousand people take part in the festivities walking around the cottages looking at the lighted lanterns.The Grand Illumination Night is usually the third Wednesday in August. 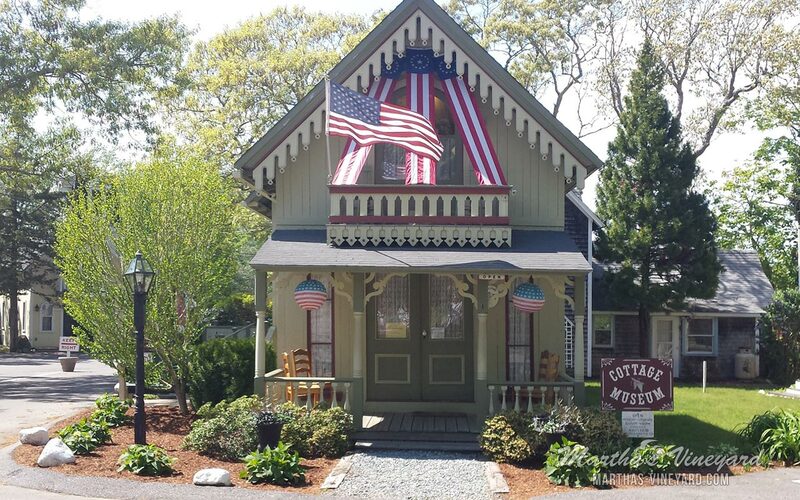 The Cottage Museum is one of the gingerbread Victorian cottages located in the Martha’s Vineyard Camp Meeting Association Campground, in the heart of Oak Bluffs. It gives visitors an opportunity to go inside a typical Campground cottage as it would have been, back in the 1800’s. You will see artifacts, photos and furnishings. There is also a gift shop. 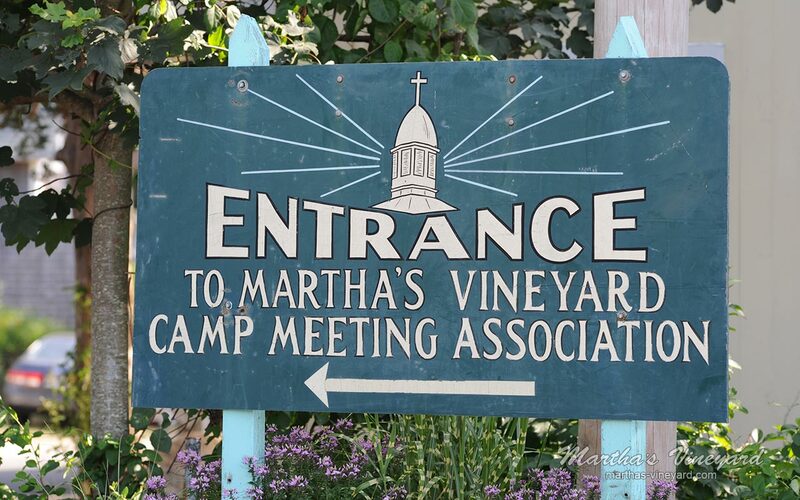 Trinity United Methodist Church is located in the Martha’s Vineyard Camp Meeting Association Campground, in the heart of Oak Bluffs. 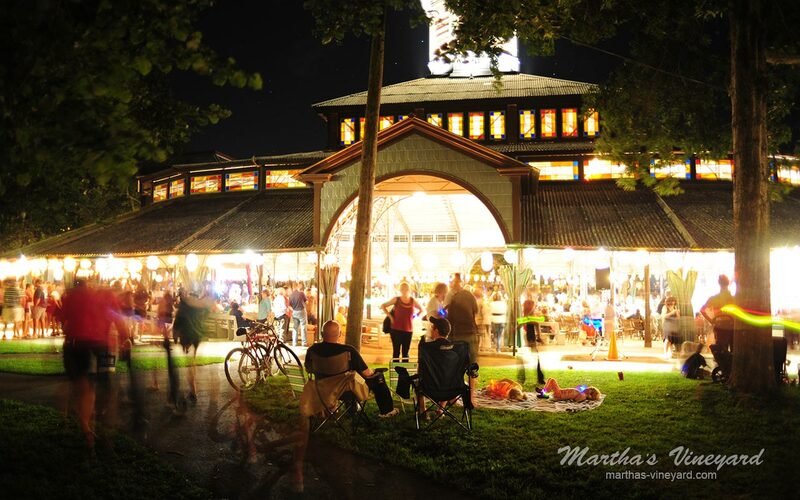 It was built in 1878 to serve the spiritual needs of the year-round community.